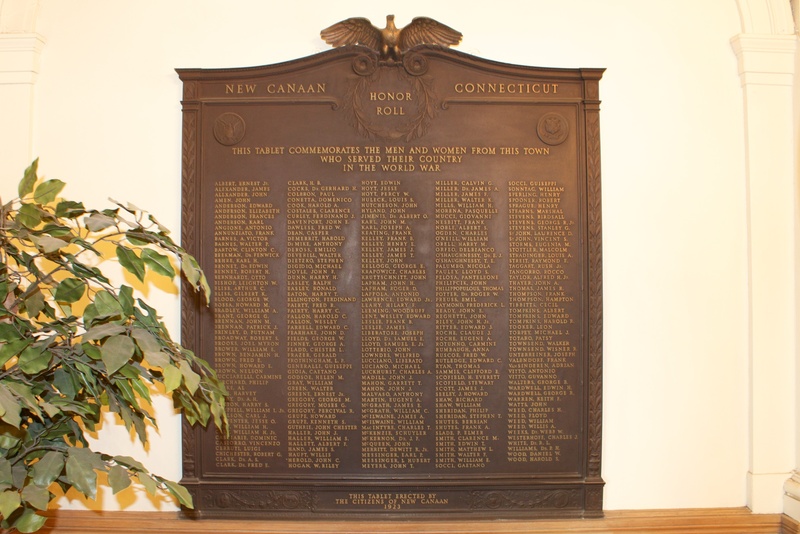 New Canaan honors its war veterans with several Honor Roll plaques in the lobby of Town Hall. 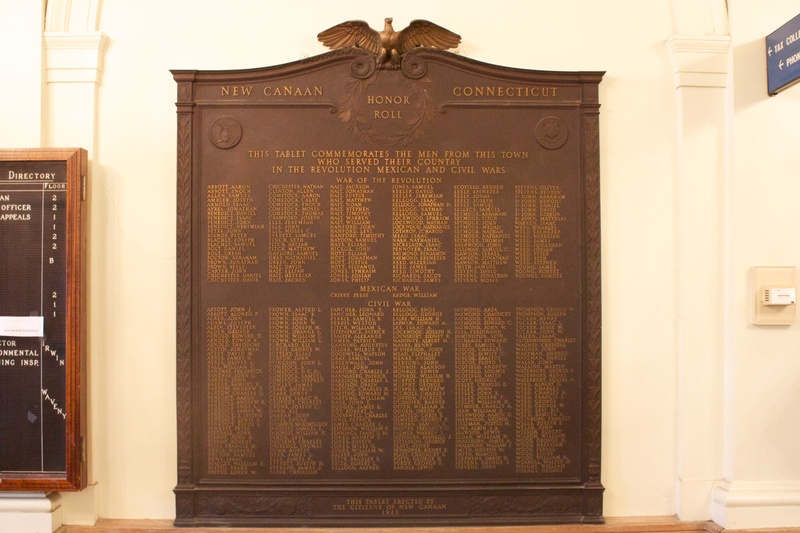 On the east wall of the first floor hallway, a plaque honors New Canaan’s veterans of the American Revolution, the Mexican-American War, and the Civil War. 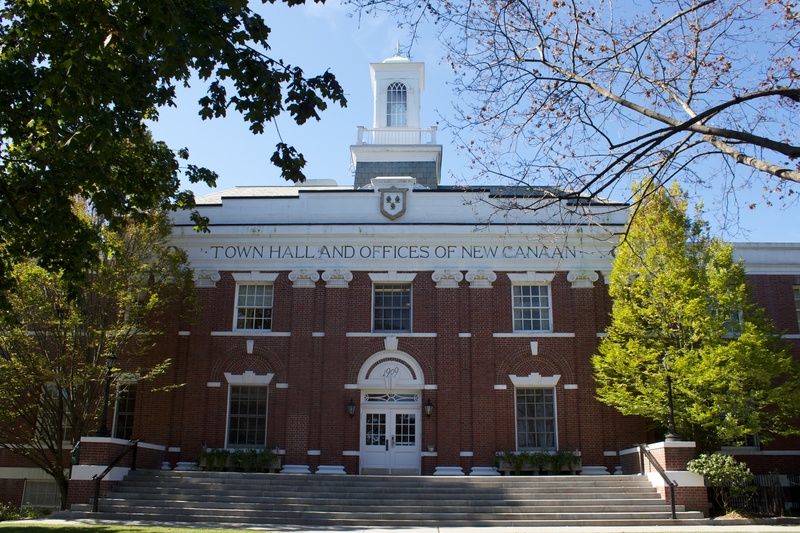 The American Revolution sections lists about 130 residents. The Mexican-American War section has two names, and the Civil War section lists about 225 names. On the west wall, a plaque lists about 260 residents who served in World War I. Both plaques were dedicated in 1923. 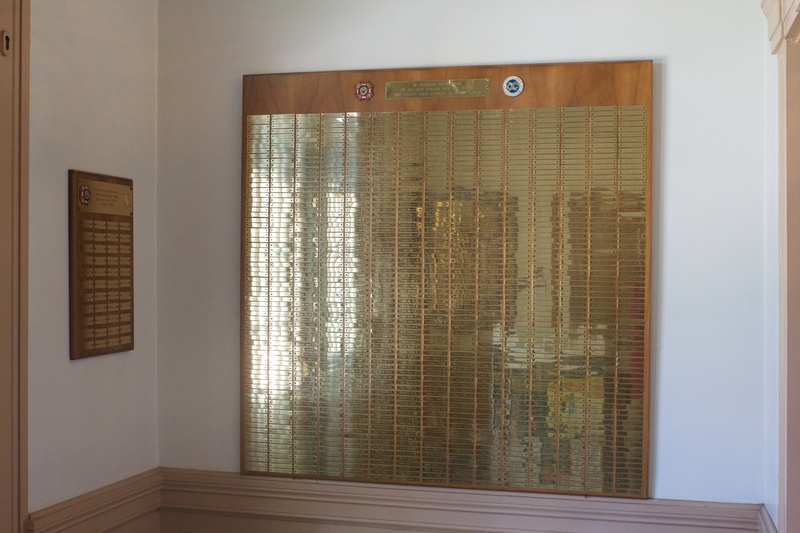 In the front foyer, plaques honor residents who served in World War II, Korea, Vietnam and Desert Storm. Samuel P. Ferris was a West Point graduate who served as colonel of the Twenty Eighth Regiment of the Connecticut Volunteer Infantry. The regiment, formed for a nine-month enlistment, recruited 678 men from Litchfield and New Haven counties. The regiment was involved in the capture of Port Hudson, Louisiana, in June of 1863 before mustering out in August of 1863. Next post: Civil War Monuments of Connecticut – Buy the Book!